A new NASA-designed information system will drive discoveries as scientists and researchers devise future investigations to be conducted aboard the International Space Station. Specialists at NASA's Marshall Space Flight Center in Huntsville, Alabama, gathered critical information on the agency's physical science research to create Physical Science Informatics, a knowledge base that will give investigators access to information on previous space station research to boost future research. The space station is an orbiting laboratory providing an ideal facility to conduct long-duration investigations in a microgravity environment. The platform allows continuous and interactive research similar to Earth-based laboratories, including key hardware for conducting investigations. "The space station enables scientists to pursue innovations and discoveries not currently achievable by other means," said Julie Robinson, chief scientist for the International Space Station. "We want to make this coordinated scientific data available so scientists from any field can use it to propose new investigations and make advances to benefit the entire world." 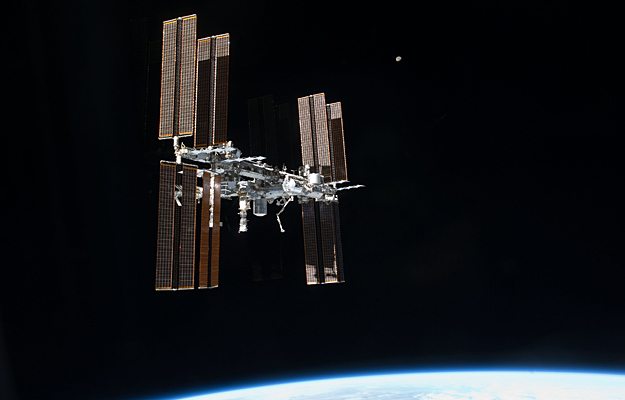 Funded by the International Space Station Program, the Physical Science Informatics puts information on past, current and future space station physical science investigations in one digital repository making it easy for investigators to find out what's been done so far in research areas and devise where to go next. "This comprehensive data will allow researchers to easily see what kinds of physical sciences experiments have been done and use that information to design new experiments for the International Space Station," said Teresa Miller, who leads the effort for Marshall's Materials and Process Laboratory. All results are sortable and cover a variety of subjects that comprise physical science including combustion science, complex fluids, fundamental physics, materials science and biophysics. "The informatics system provides open access of the space station physical sciences data to the global community," said Fran Chiaramonte, program scientist for physical sciences at NASA Headquarters in Washington. "The goals are to increase the number of scientists participating in space station research, allow new areas of research and discovery to occur more quickly, and accelerate the research-to-product timeline through rapid and open sharing of data." Collecting this data in a single location not only provides scientists with scientific data from NASA research, but also helps identify fields where more study is needed. Investigators will find it easy to locate information about materials properties and other physical influences of the microgravity environment. "Informatics will help us identify gaps in our knowledge base," said Marshall Porterfield, NASA's director of Space Life and Physical Sciences at NASA Headquarters. "Too often there are lengthy delays in publishing results of experiments. The lack of access to information should not be a roadblock to discovery."